GC-2263-V is a cylinder arm walking foot machine that uses a large capacity vertical hook and is designed with modern, contemporary styling. 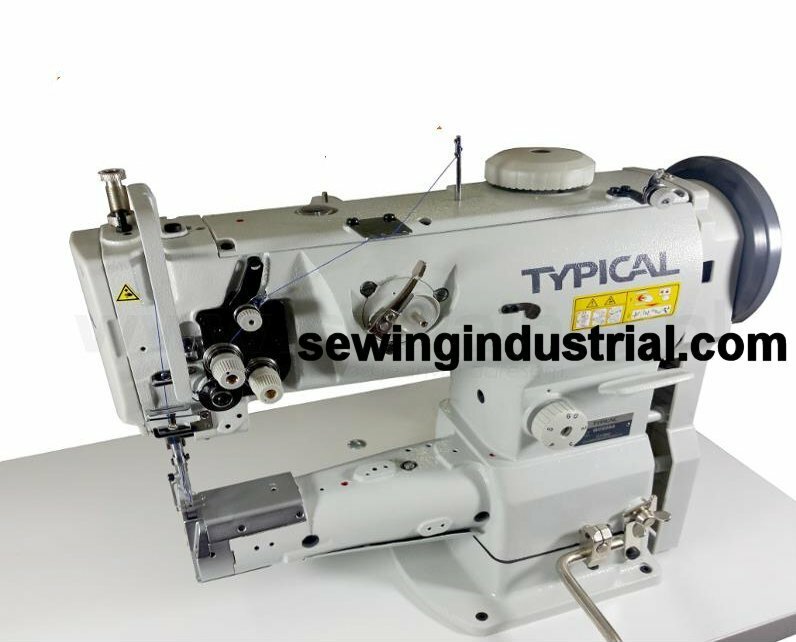 It features a sliding lever thread take up, a dial type stitch regulator and an inside belt to drive the top shaft and hook shaft at ample speed. A high presser foot lift and long stitch length make it useful in the manufacture of heavy duty luggage, soft sided bags, seat cushions and binding operations on luggage, tote bags and similar articles. This machine is equipped with a SERVO motor operating on standard 110 Volts power. ∙ Balance wheel 80 mm eff. Dia.